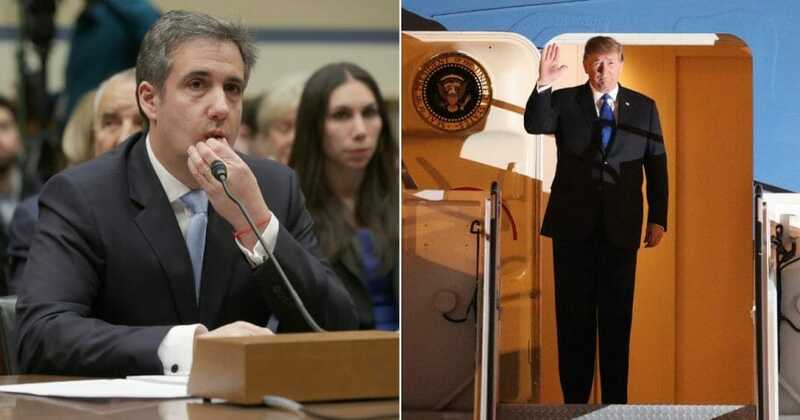 The Democrats are very unwise to be examining Michael Cohen in Washington at the same moment as President Donald Trump confronts Kim Jung Un in Vietnam. They are creating a two-rink spectacle. In the first rink, we see the Democrats probing the details of Cohen’s role in the various pseudo-scandals involving Trump. In the second rink, we see the president negotiating to stop a potential nuclear war with our most threatening adversary: Kim Jung Un. The juxtaposition of these two events shows the priorities of the two parties: The Democrats want to get Trump. The president concentrates on protecting the country. People pay only sporadic attention to the events in our politics. But there are a few moments that punch through and get the full focus of the public. The most recent was the Kavanaugh confirmation hearing. There, the spectacle of Democrats going nuts and an accuser lying contrasted with the dignity of future justice. This contrast probably had a great deal to do with the Republican victory in the Senate races of 2018. Now they see Democrats whipping up partisan warfare while Trump focuses on the key threat to our nation. The approach that the president seems to be following in Korea: Of a step-by-step agreement where Korea dismantles, piece by piece, its nuclear program while the administration lifts, bit by bit, the sanctions and isolation that are directed against North Korea. The fact that emerges is that Trump has begun to solve a conundrum that has eluded previous presidents from Eisenhower to Obama and that threatened the safety of the United States. Now, the likelihood that the threat of nuclear attack by North Korea is fading, we see yet another major accomplishment of the Trump administration.